Do you need to hone your skills at photographing birds of prey? Well this is the workshop for you. You will get a chance to photograph difference species of trained raptors in flight. The current birds we have are an adult red tailed hawk, a great horned owl a barn owl, a peregrine falcon and an american kestrel. The birds are provided by Wild Wings Environmenal Education and half the proceeds will go to this non-profit organization. With the exception of the great horned owl, all these birds are good flyers and will give you numerous opportunities to capture them in flight. You will also learn what the best camera settings are, recommendations for gear, and how to optimize your photographic experience. This is a 3 hour workshop which will give you plenty of time to photograph each species and make sure you get the shot! A digital SLR with a decent frame rate. 3 fps to 12 fps is good. The faster the frame rate, the better. A medium range zoom lens such as a 70-200mm, 75-300mm, 100-400mm, or similar or a 300mm prime lens. A tripod for stills if you would like although they are not required for the flight shots. 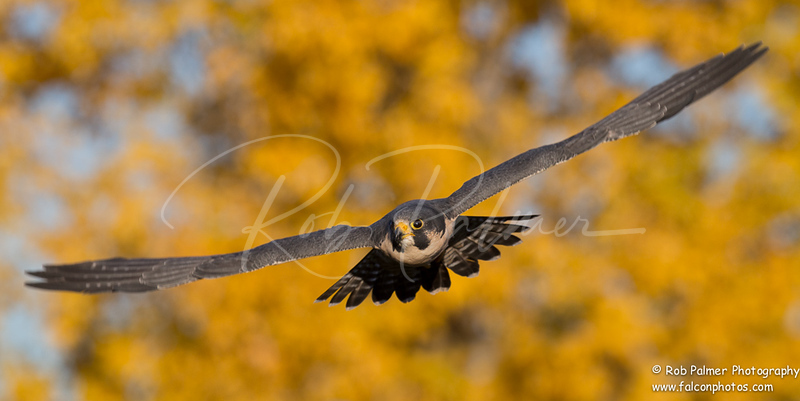 For further information please contact me at rob@falconphotos.com or call me at 303-888-5264.